Background: Low back pain (LBP) is the commonest form of work-related musculoskeletal disorders, which cause huge economic losses to individuals as well as to the community. Bus drivers have been found to be at an increased risk of LBP owing to several factors associated with physical and occupational circumstances. 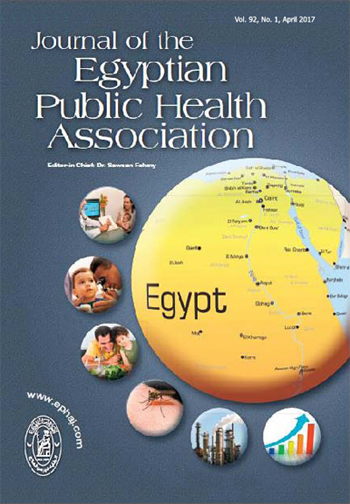 There is scant knowledge on the problems of LBP among bus drivers in Egypt. Aim: To identify the prevalence of LBP among bus drivers and to determine the ergonomic and occupational risk factors associated with this problem. Materials and Methods: This is a cross-sectional study including 180 public bus drivers who were interviewed using a questionnaire containing items on some sociodemographic, ergonomic, and occupational characteristics. Lifestyle risk factors such as BMI and history of tobacco smoking were also included in the questionnaire. Results: The prevalence of LBP was high (73.9%). LBP was significantly associated with work duration of more than 10 years, working more than 8 h/day and more number of accidents while driving the bus in the previous year. Regarding ergonomic risk factors, those complaining of uncomfortable seat and steering wheels showed significantly higher prevalence of LBP. Conclusion: Public bus drivers in this study experienced high prevalence of LBP, which was associated with long duration of work, driving for more than 8 h daily and uncomfortable seat and steering wheels. Ergonomic and occupational risk factors associated with LBP can be modified by proper organizational strategies and health plans. Therefore, assessment of the sitting biomechanics and regular maintenance of buses are recommended to prevent any adverse health effects.